From the developers Ketchapp, who are a major player in the mobile games market. They bring us another great puzzler game to join the likes of Amazing Ninja, Stack, and 2048. 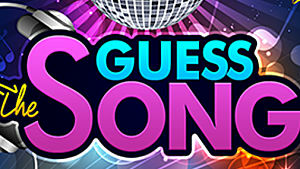 Guess the Song gives you a set of four images and a set of letters to choose from. The goal is to guess which song the pictures represent. The 70's was a great time, although a little before my time, there is no doubting that this decade had some of the best music.